You don’t necessarily have to be a top chef to have a fabulous kitchen. The days when kitchens were considered to be dreary workspaces hidden behind closed doors are long gone. In the modern world, kitchens are essential for entertaining special occasions and everyday living. To meet the ever-growing demands for eye-catching kitchens, manufacturers offer a wide range of countertops, fixtures and cabinets. They are available in popular design styles, ranging from modern to the old world, country cosy to city chic. Many top designers also turn to high-end furniture makers and antique stores when sourcing kitchen projects. Whether you are designing a kitchen that matches the rest of your decor or planning your entire home’s look around your kitchen, it can be made into something that reflects your personal style. Here are a few kitchen design styles and their features to help you choose the perfect one for your home. There is something about a farmhouse kitchen that never goes out of style. They have developed into one of the hottest trends today. Whether they are dressy, elegant or rustic, farmhouse kitchens can blend in beautifully with any style decor and can add a warm and welcoming element to a home. They offer comfort and great functionality to homeowners. 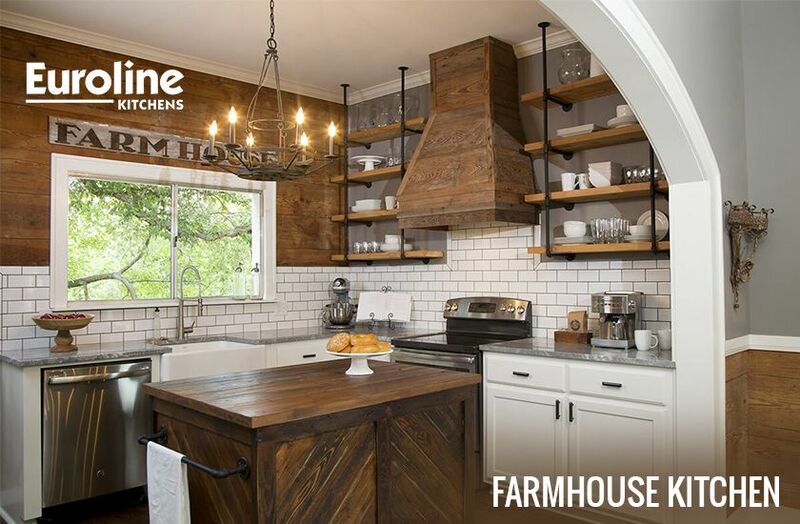 Here are some key features which make farmhouse kitchens stand out from the rest. The farmhouse sinks available these days are reminiscent of those that were usually found in country kitchens during the 1800s. They are quite deep and have an exposed front allowing for easy access and plenty of room. Farmhouse sinks are known to accommodate busy households very well. Open shelving is one of the most favourited features in a farmhouse kitchen design. It helps you save space and money which you would otherwise have to spend to build cabinets. It is beautiful and is a functional way for you to display your treasures while also having whatever you may need within arm’s reach. Adding a few touches of farm decor in your kitchen can help tie the whole room together. Glass canisters and mason jars can be kept on countertops and vintage jars filled with flowers are a great way to accent your kitchen design. You can also incorporate a few farmhouse photos or simply opt for an antique decor using old farm equipment. There are many ways in which you can make it your own. The beauty of a contemporary styled kitchen lies in their geometric forms, sleek clean lines and their functionality. Designers often rely on using natural elements such as stone and wood when planning a contemporary kitchen. They also prefer using manufactured materials like glass and stainless steel to create the look. Here are some design elements that define contemporary style kitchens. Cabinets have a way of defining the design style of any kitchen. Full overlay cabinets are ones where little to none of the door frame is visible. This makes the layout appear completely seamless. The most dominant style of cabinets is the two-door style as seen in the Shaker-style and slab front cabinets. They both have simple lines which add to the rest of the decor. You can also choose to add hardware to the cabinet doors, but certain designs can prevent you from maintaining a minimalistic and clean look. Stainless-steel appliances are commonly used in contemporary kitchens because of the industrial look that they provide. Also, some appliances can provide geometric accents in the room like an angled or arched vent hood. Some cooktops, ovens, dishwashers and even stoves have futuristic looking control panels with lights that can augment the entire modern look. 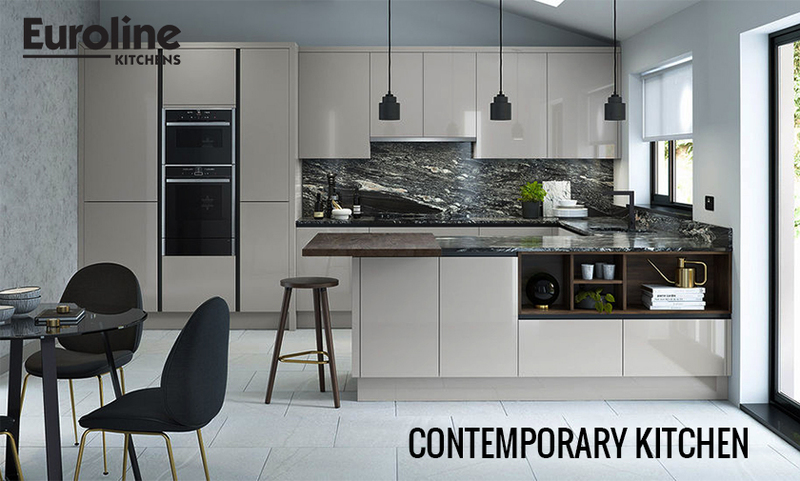 As already mentioned above, most of the contemporary style kitchen designs merge natural elements that can be found in nature like stone, glass and wood. Some of these products used are wood flooring, travertine tiles on walls, granite counters, wood finish cabinets and cabinet inserts and shelves made from glass. Emerging kitchen style trends have taught us that combining a vintage or rustic design with modern technology can be both functional and beautiful. Distressing new furniture and reclaiming old pieces can help add a vintage touch to remind us of simpler times. However, going too far into the style can make your kitchen look like it belongs in the 1900s. 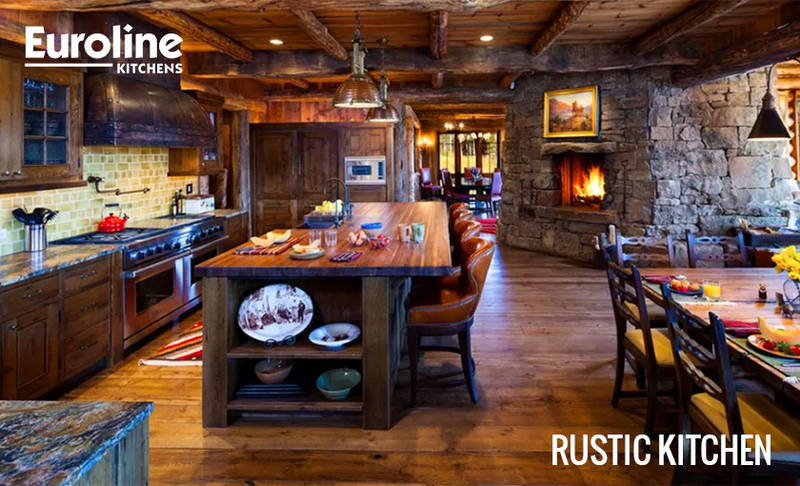 Here are some of the most important elements of a rustic kitchen that you can incorporate in your dream kitchen. Maintenance-free cabinets have come a long way. They offer durability and better colour saturation at budget-friendly rates. They can be left in their natural form or be given a darker glaze to give it more character. Also, wood doors are great for cabinet refacing, helping you easily accomplish your kitchen goals. When considering rustic kitchens, natural is the way to go. Wood-like tones that wouldn’t be out of place in a log cabin are the best way to achieve this look. Consider using darker colours in the interiors and pick out darker hardware which has distressed elements such as oil rubbed bronze. Keep the cabinet style simple to create a look which doesn’t overwhelm the space while also letting the natural materials shine through. Most kitchen styles integrate all kinds of decorative accessories and rustic kitchens are no different. To achieve the look, you should stick to decorative accessories which have a more furniture detailing design than typical decorative accessories. Traditional kitchens are among some of the most popular styles for kitchens because of their grandiose design scheme and colour palette. They have the ability to make any space beautiful. The most important feature of a traditional kitchen is the attention it puts to details without it being overbearing. Here are some important elements to give your kitchen interior a traditional look. Countertops help bring about a fun element when thinking about the colour in a traditional kitchen setting. A luxurious countertop material like Granite or Quartz can be a perfect choice. Choosing a colour which has a lot of movement or certain metallic variants are preferable. You can place a chandelier in your kitchen if it is big enough for one. 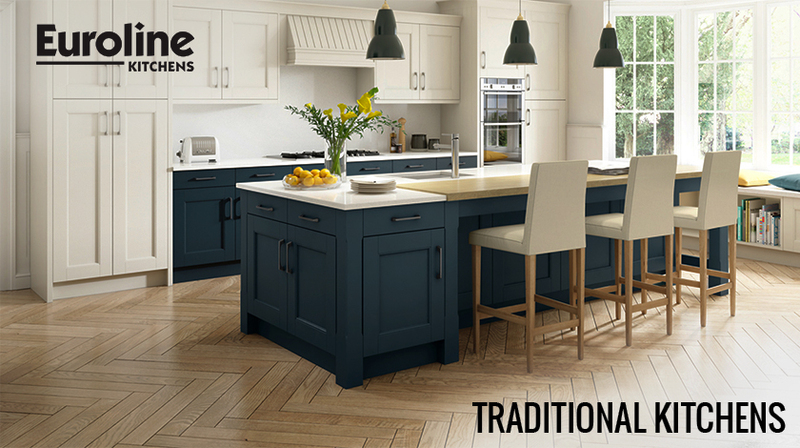 They tend to look beautiful in traditional kitchen styles. Chandeliers can enhance the detail-oriented and ornate aspects of the room. Adding decorative lighting is one of the best ways to pull the complete look of the kitchen together. Although it is preferable to pick out the lighting last, it must be remembered throughout the designing or rebuilding process. Recently, highly patterned and colourful backsplashes have become a popular choice for many homeowners. However, it is not a preferred option for traditional kitchens as it can seem overwhelming and may end up complicating the space. You will have enough going on as it is in terms of decorative accessories. Hence, keeping the backsplash simple in terms of style, colour and materials is the best option. When designing or remodelling your kitchen, you can either choose one of the above-mentioned styles or use your own personal style. The decision is completely yours. However, remember that kitchen designing, and remodelling are huge investments in themselves so you should be careful about not letting your design run wild. The best thing to do is to consider the style of your home and choose a style accordingly.